Late last week HEXUS reported upon Google's official announcement of a special event in San Francisco, with the tag line 'Funny you should ask'. We were teased about an upcoming device (or devices) which could address common smartphone ailments such as; poor battery life, blurry photos, low storage, and more. It was widely expected, even before the teaser, that Google was lining up a special event in October to launch second generation Pixel and Pixel XL smartphones and other products. The date of the official product launches will be 4th October. Google must be rather miffed at such a comprehensive product announcement leak nearly a fortnight before it makes its big announcements. Many will feel there's no need to 'stay tuned' anymore, even for pricing, which Droid Life has provided. However the leaks are rather light on tech specs. 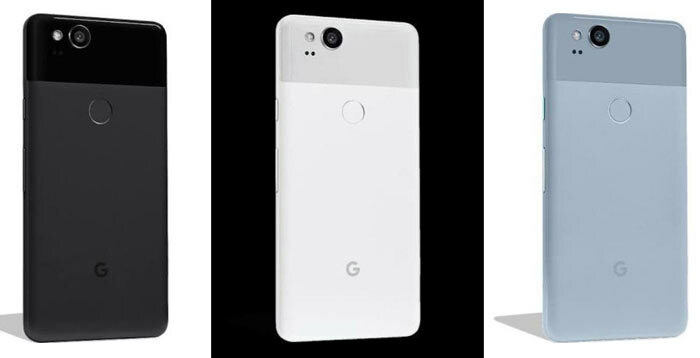 The Google Pixel 2 will come in a choice of Kinda Blue, Just Black, and Clearly White and capacities of either 64GB of 128GB. Pricing for those storage options will be $649 and $749, respectively, says the source. The larger Google Pixel XL will be sold in black, or black & white livery, with its 64GB and 128GB storage variants sold for $849 and $949 respectively. Moving on to the new Chromebook, Google will introduce the Pixelbook in silver with 128GB, 256GB, and 512GB storage options. Pricing will be $1,199, $1,399 and $1,749 respectively. One standout feature of the Pixelbook is that it will fold into a tablet format. The official Pixelbook Pen, which will cost $99, will provide additional input method options, especially welcome in the Pixelbook's tablet form. 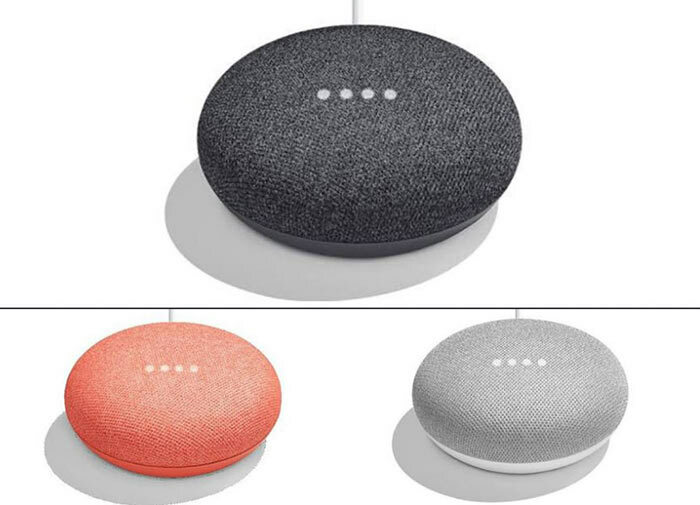 The Google Home Mini is a smaller smart speaker. We aren't sure what functionality might have been trimmed in this smaller device. However it is one of the few new Google products with a 'nice' price, said to retail at $49. 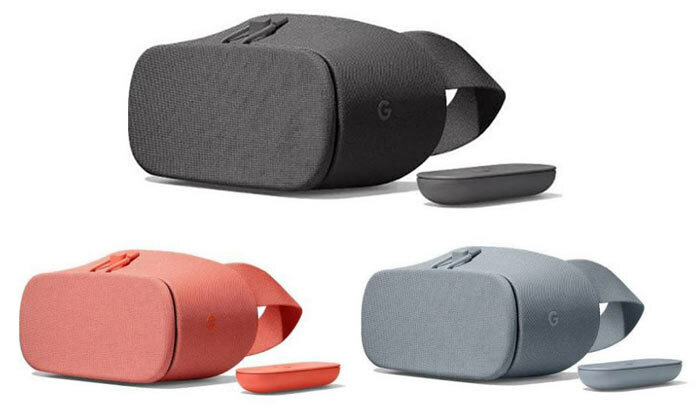 As you can see from the picture above, Google will sell this device in a choice of charcoal, chalk or coral fabric colours. Google's new Daydream VR headset view sports a fabric change, which Droid Life reckons will be more hardwearing and less sweat prone. This updated HMD, powered by your compatible phone, is said to retail at $20 more than the original, at $99. Colour choices are; charcoal, fog, and coral. All the above new product info, prices and pictures were first published at Droid Life. Google must be rather miffed at such a comprehensive product announcement leak nearly a fortnight before it makes its big announcements. Another chromebook… for some reason I thought they were killing those off? I just don't get the point in the ‘pixelbook’… for $1,199 (which will likely be £1200)or more I can get a fully featured laptop that can happily run chrome and a lot more.. Now I lose access to android apps but honestly I could likely squeeze in a cheap but decent android tablet into that £1200 for those…. As to the phones…all I can say is lol nope, seriously that was the first response when I saw the prices. I use android because it's the ‘best option’ for me but theres no way I'm paying that much for a google phone considering how much money they make from my ‘usage data’ etc. 'Leak' is just another term for marketing strategy, these days. I mean, a whole two weeks - Who's gonna be able to come up with something to beat that in time?